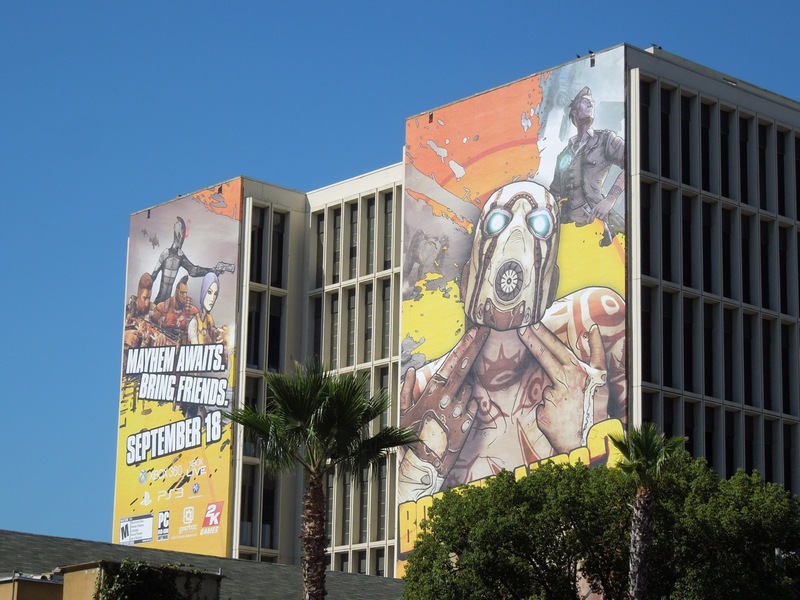 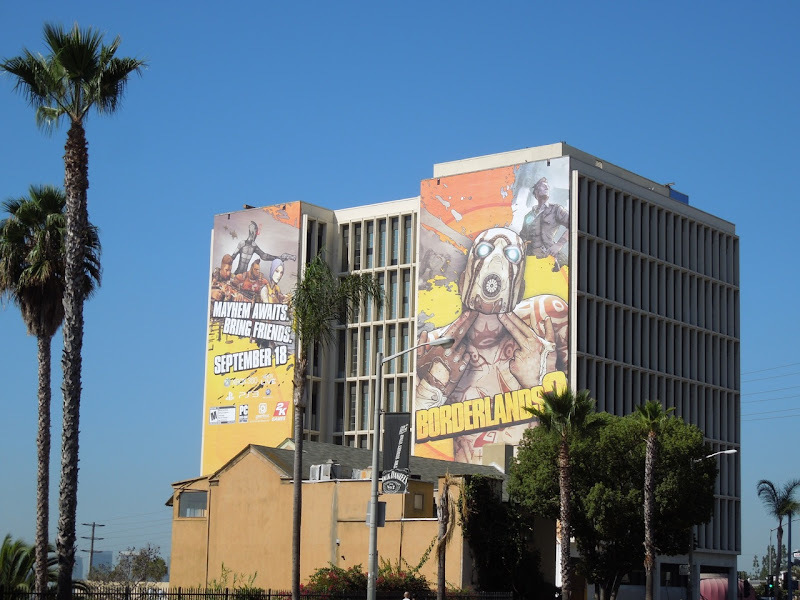 Gamers rejoice as mayhem awaits you with the release of Borderlands 2 this month. 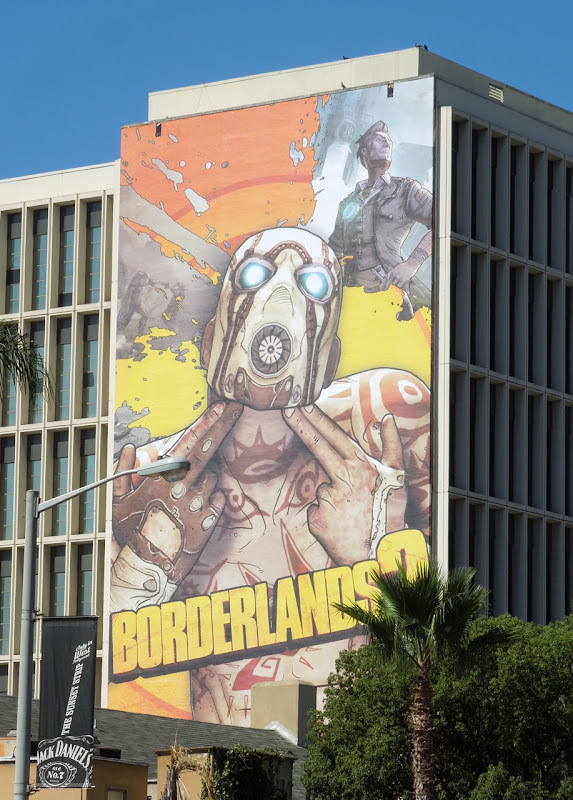 Time to return to the futuristic space Western world of Pandora (not the one with big blue aliens) for some first-person shooter role-playing action. 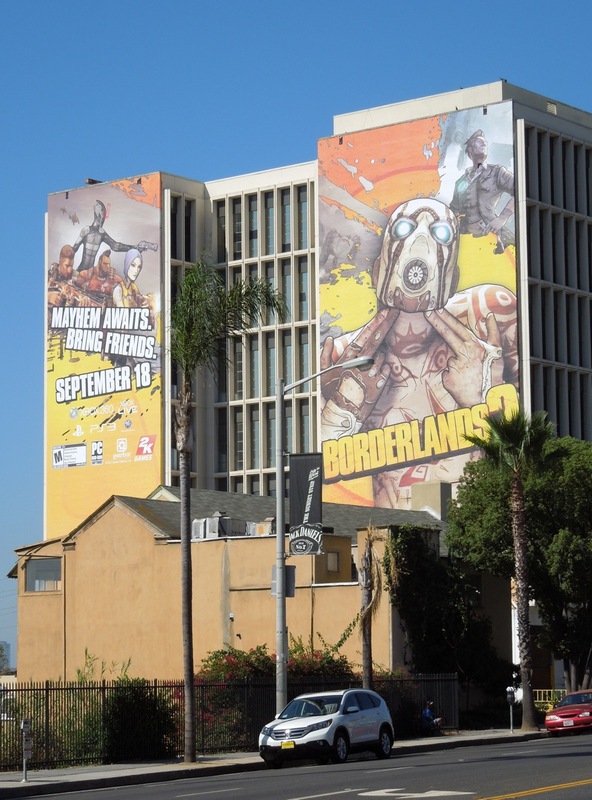 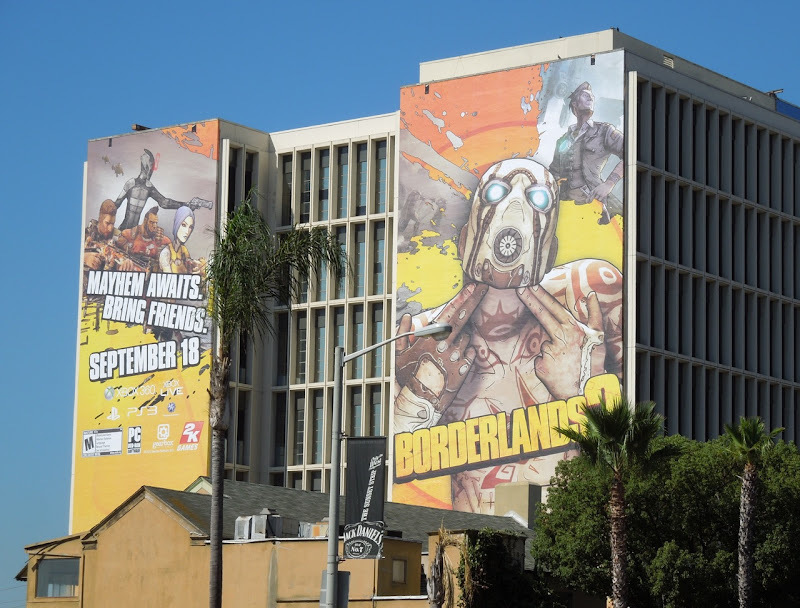 These giant-sized billboards for the video game sequel were spied along Sunset Strip in West Hollywood on September 7, 2012. 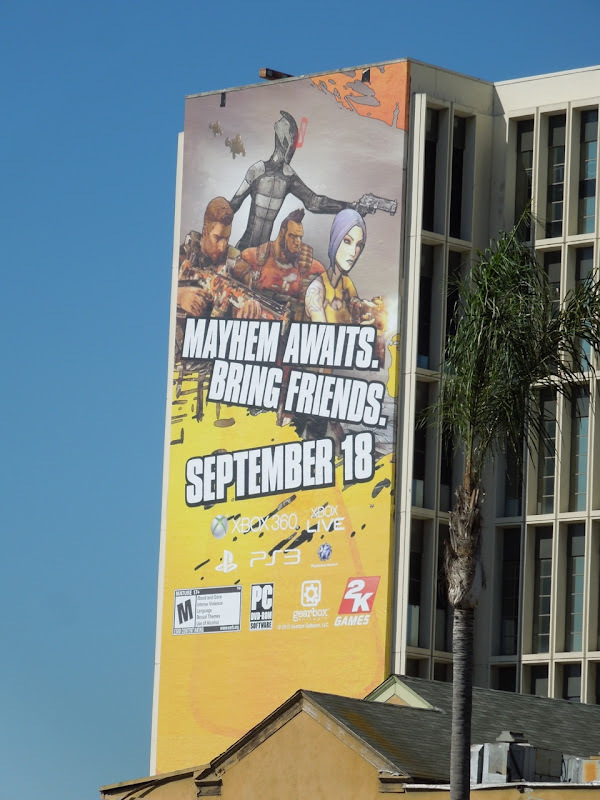 If you like this super-sized ad with its cool comic book vibe, you may also enjoy these billboards for Darksiders II and this giant Call of Duty MW3 billboard too.